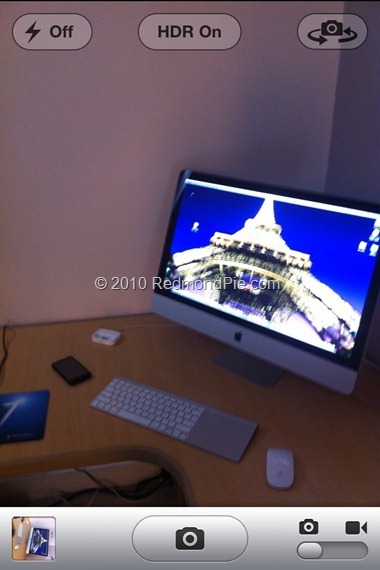 One of the new features in iOS 4.1 in the introduction of HDR (High Dynamic Range) photography for iPhone 4 users. With HDR option enabled in Camera app, you can take more detailed photos than what a normal photograph can show or capture. This feature basically takes three photos in quick succession, one properly exposed, one overexposed and one underexposed, and then combines all three to produce one single detailed photograph. Since iPhone 4 has 5-megapixel camera, Apple has limited this feature to this new handset only. But just like multitasking and wallpapers, you will soon be able to run this new iPhone 4 exclusive feature on your jailbroken iPhone 3GS and 3G.